Many millennials are moving back into cities and forgoing car ownership, a combination of opportunities and cost savings. It has been interesting to watch this trend play out, given that I didn’t own a car myself until I was 30 and moved to the sprawling Los Angeles. Back in the days when I was carless, the rental options were pretty simple: you got to the airport or a downtown hotel and rented one by the day or by the week. But unlike my own experience, today’s urban dwellers have lots of choices with car sharing, short-term rentals, expanded cars-for-hire and better mass transit options. Some cities have a bountiful collection that is almost dizzying, while others are still trying to figure out the right mix. It is somewhat ironic that I am writing this column today, while I am visiting Ford in Detroit and participating in their annual trends conference. Certainly, they are very aware that car ownership and usage is changing. Take car sharing. 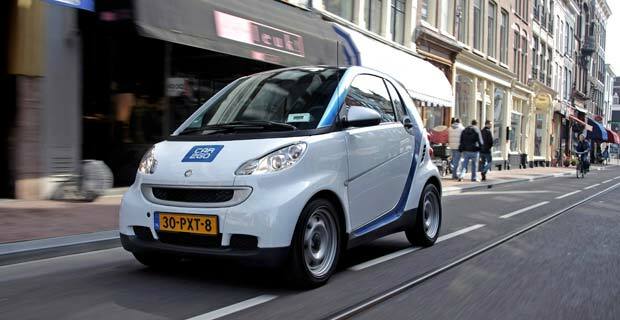 Now you have Car2Go, ZipCar, Carshare Occasionalcar.com and others. You sign up and pay a small membership fee to have your driver’s license and credit card registered with them. You download an app for your smartphone that tells you the real-time location of your car. You then reserve the car and have 20 minutes or so to get to the car, swipe your magnetic entry card, put the key in the ignition and off you go. You are charged by the minute you occupy the car, which varies depending on the service. When you are done, you park the car at any parking meter or legal parking spot in the area of service and walk away. You don’t pay for gas or parking or tolls. ZipCar has required parking spots that are typically near universities or downtown areas. When I visited my daughter last week in Denver, I got to see first hand how easy it was. We got a Car2Go to take a short trip that cost all of $4. The car she reserved was just a few blocks away, and we could park it a block from our destination. Short-term rentals include Enterprisecarshare.com and Hertz247.com, divisions of both major rental firms. They work similarly to the car sharing services, except that you have to return them to specific locations. Enterprise will bring you to your car, or vice-versa. Unlike the regular daily car rentals from these companies, younger drivers are allowed, which is good since both are going after the college market. And there are the taxi-like services such as Uber and Lyft that hire drivers and either their own cars or ones provided by the company to pick you up. My daughter is a big fan of Lyft and actually prefers their drivers to the standard hacks, telling me that the drivers and their cars are both more pleasant. My friend Bill Frezza, writing in Forbes, says that the rise of these alternative car services will give regular taxi companies fits. He cites some interesting statistics too. Indeed both Uber and Lyft are involved in litigation as the established taxi services try mightily to hold on to their cartels. Here in St. Louis, Lyft was blocked from even opening for business with lawsuits. It reminds me of the days when DSL providers were first trying to enter the broadband market and they were blocked by the established telcos until they could deploy their own legal armies and get the public utility commissions to open things up. Of course, now DSL is mostly provided by the telcos. Where will all this end up? I don’t really know. But my daughter is glad about the range of options available to her, and is happy to continue using these services and being free of owning a car for now. One of my readers writes: You missed one of the newbies, though: FlightCar gives people who would normally be leaving their cars in long-term parking at the airport the opportunity to instead rent their car out for someone else to use. I tried it on a trip to the SF Bay Area in April and had a great experience – got a clean Prius for about $14 a day and it was a breeze. They send a driver to pick you up at the airport when your flight comes in, drive you a mile or so to their location, and your car is there waiting for you. So far they’re only operating at SFO, LAX, and BOS, but I imagine they’ll be expanding. Thank you for this helpful post. I’ve not used the new car services personally and your description of the short term rental market clearly demonstrates the convenience and value of this “micro-renting” model. It’s also important to differentiate between these car rental services and the taxi alternatives like Uber and Lyft as you have done. In the case of the former, there is no barrier to growth and success. In the case of the latter, there is an entrenched, regulated industry and those with vested interests in that industry to overcome. The good news is that the increased competition with both models will benefit the customer as competition always does.